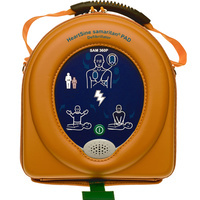 The newly created Prestan AED Ultratiner created by the same company behind the award winning Prestan range of manikins is the most convenient and realistic AED Trainer on the market. 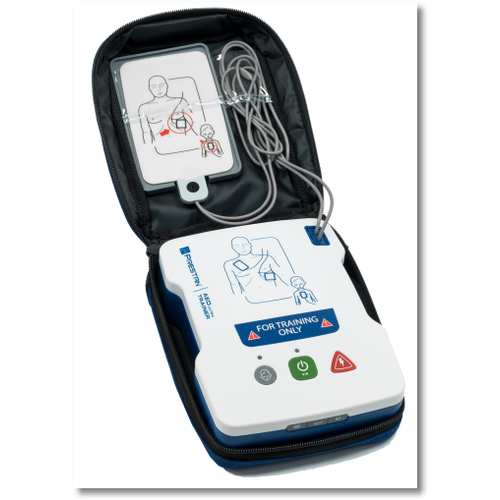 Economically priced this range of training defibrillator is specifically created to replicate a real life AED to ensure that students are ready for what they will face on a life critical situtation. 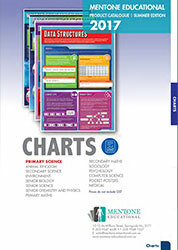 Available as a single or in a pack of four for classroom purchases. 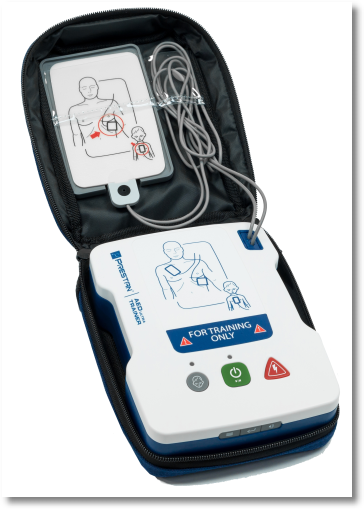 Mentone also offers the Prestan AED trainer as an update on the range of starter packs. 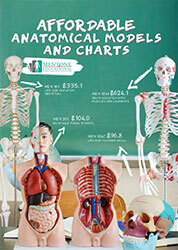 Mentone Educational has Australia's largest range of CPR manikin and first aid training equipment. 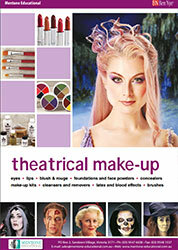 Mentone is pleased to represent the award winning range of Prestan manikins. 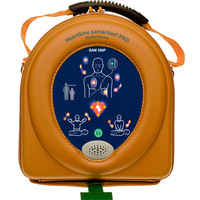 Learn More About the Prestan® AED Ultratrainer! 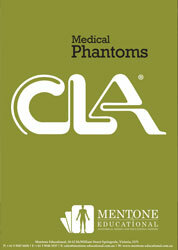 At Mentone Educational, we have a huge range of AED trainers, which can be added to your regular CPR classes. One of the automated external defibrillator trainers we have in our collection is the Prestan® AED Ultratrainer, one of the best options for both beginning and experienced CPR instructors. What Is the Prestan® AED Ultratrainer Used for? The Prestan® AED Ultratrainer is an AED trainer, which teaches students how to use an automated external defibrillator in combination with CPR. It is a common tool for instructors these days, especially since most public places now have an AED to help people who suffer a sudden cardiac arrest. In some cases, CPR alone will not be enough to safe a patient’s life; this is usually the case for patients suffering from sudden cardiac arrest. By training your students in both CPR and AED, it could save many lives in the real world. What Makes the Prestan® AED Ultratrainer Stand Out from Other AED Trainers? The Prestan® AED Ultratrainer is packed with features, which prove useful for both beginning and experienced CPR instructors. Even if you have never used one of these trainers before, the straightforward instructions ensure you can incorporate this trainer in your regular classes flawlessly. 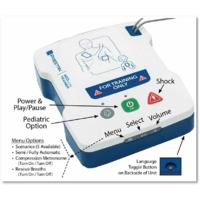 One of the options that accompanies the Prestan® AED Ultratrainer are the adult and child options; this means the Prestan® AED Ultratrainer can be used for child and adult CPR training. Not all AED trainers come with this feature, so this trainer is a recommendation for instructors who regularly provide both adult and child CPR classes. When you choose the Prestan® AED Ultratrainer, you can also choose from five scenarios. Each scenario will mimic an emergency situation; this enables your students to train better for specific medical emergencies. The Prestan® AED Ultratrainer can also help students with their compression speed. If you are currently using a CPR training manikin with the traditional clicker, students usually do not have anything to measure their compression speed against. While the compression depth may be accurate, the input of the instructor is usually required to determine the correct compression speed. With the Prestan® AED Ultratrainer, instructors can enable the compression metronome. The compression metronome gives audible cues for the right compression speed; this can help students master their compression technique. 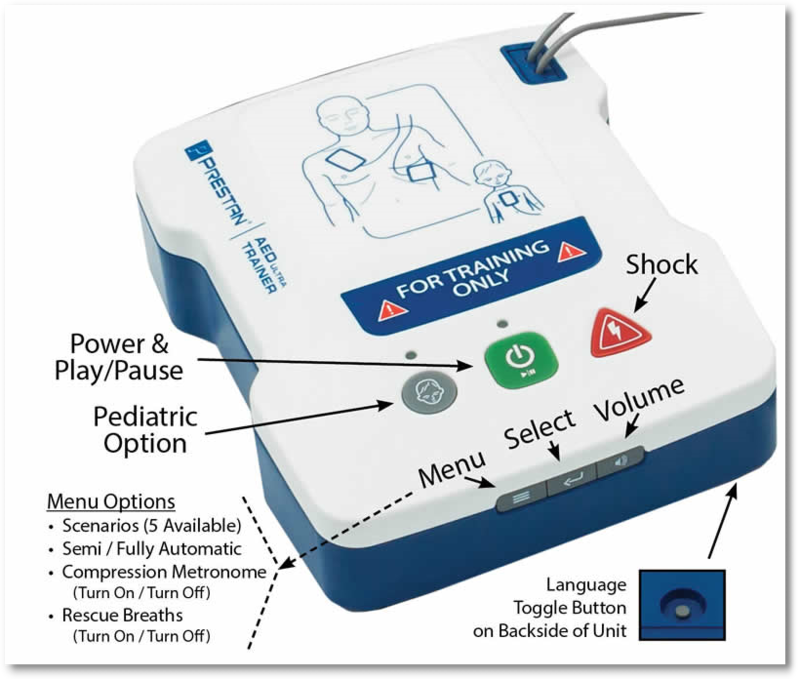 Of course, the compression metronome can be turned off on the Prestan® AED Ultratrainer if the instructor uses a manikin with built-in feedback system. The Prestan® AED Ultratrainer can also provide students with cues for rescue breaths. Once again, this helps student to master the proper speed and time, especially in combination with an automated external defibrillator. The instructor will also have the option to turn the rescue breath cues off if he wishes to do so. 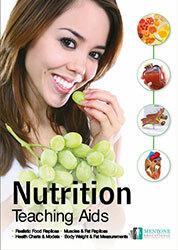 Can I Buy Multiple Prestan® AED Ultratrainers? 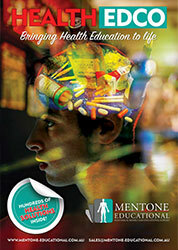 Mentone Educational does provide a multipack containing several Prestan® AED Ultratrainers. 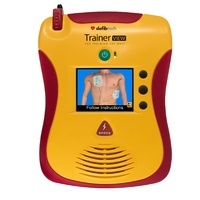 The beauty of the Prestan® AED Ultratrainer is that it can interact with other trainers; this gives a single instructor more control of a larger classroom setting. Please note that the Prestan® AED Ultratrainers must be within range of one another to interact. Even though these Prestan® AED Ultratrainers have quite the range, please consider that carpeted floors can absorb some of this range; this must be considered before setting up your CPR training room. Does the Prestan® AED Ultratrainer Come with a Warranty? CPR instructors who purchase one or multiple of our Prestan® AED Ultratrainers can count on a three-year warranty; this is a warranty provided by the Prestan brand. Prestan is an award-winning manufacturer of CPR training equipment, so the quality of the Prestan® AED Ultratrainer or other Prestan equipment will not let you down. 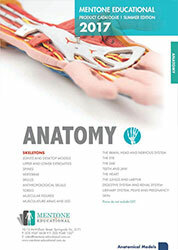 Does the Prestan® AED Ultratrainer Only Work on Prestan Manikins? Some instructors may already have their own CPR training manikins, which are from a brand other than Prestan. The Prestan® AED Ultratrainer has been tested on other manikins and works with the majority of manikin brands out there. 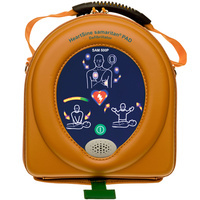 However, the correct functioning of the Prestan® AED Ultratrainer cannot be guaranteed with brands other than Prestan. When you are unsure if the Prestan® AED Ultratrainer will work with the training manikins you own, it can be a good idea to visit the Mentone Educational showroom. In our showroom, you are able to test the equipment in our collection to make a purchase. 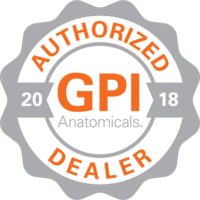 Instructors who would rather use the Prestan® AED Ultratrainer in combination with a Prestan manikin can obtain Prestan CPR training manikins from Mentone Educational. Simply check out our range of CPR training manikins to find the best option for your CPR classes. Do you need assistance finding the best equipment for CPR class? 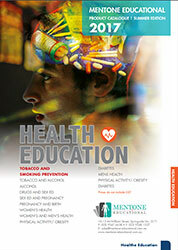 Do not hesitate to contact the Mentone Educational team via telephone, email, or live chat for some assistance. PRESTAN®AED ULTRATRAINER™ Single has a rating of 0/5 based on 0 reviews.